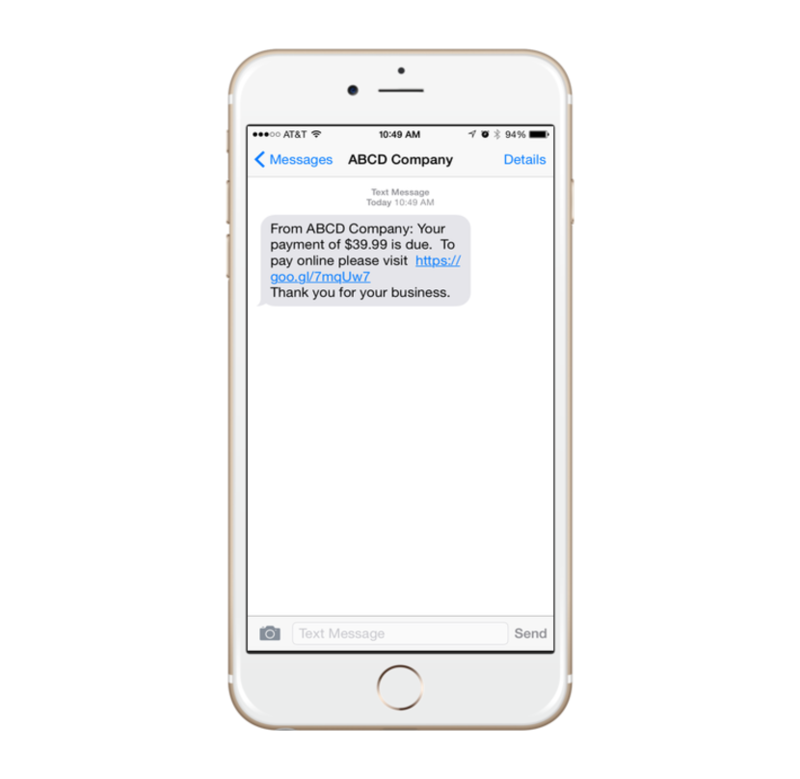 Drastically increase your revenue flow, save valuable office personnel time, and increase your client satisfaction by using state of the art SMS Text Messaging to streamline your collection processes. We import your client list along with all the important date and amount information, and send out reminders and/or collection notices to your clients. It’s very easy and extremely effective. Our text messages provide 2-way communication. Once your messages go out, all replies and answers are relayed back into our system for you to read and answer if needed. These messages are stored for years providing you with a record of all the communication between you and your clients. Text messaging is by far the most efficient way to reach someone. Everyone reads their text messages. Email can go unread for days, end up in spam folders, or simply deleted. Phone calls go to voicemail. But 95% of text messages are read, and within minutes! Ensure your clients are getting and reading your messages when you send them. AutoReminder imports your due dates, next payment dates, payment amounts, etc. Using these data fields you can setup customized messages that meet your desired criteria. For example, if you want to start each day by sending a text message to everyone that is 1 day past due, AutoReminder makes it a 1-step process.